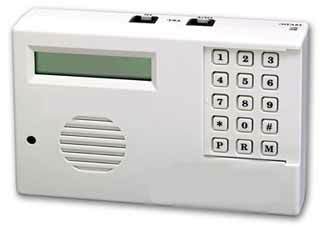 Automatic alarm dialers are designed for direct and immediate notification of emergency situations using any regular phone line. It will deliver customized recorded messages to up to 8 telephones, cellular phones, and or numeric codes to pagers. All of this comes without paying any more high monitoring fees. This simple yet effective automated phone dialer calls up to four different telephone numbers, and delivers up to two different messages when triggered. Two independent voice messages. Stores up to four telephone numbers. 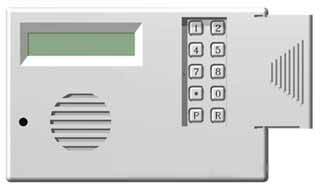 These alarm audo dialer security systems offer reliable low cost monitoring Ssolutions. No phone line, no contract, and no monitoring fees required. Secures RVs, cabins, boats, storage garages, containers, shops, manufacturing plants, etc. Monitors signal change in operating status of remote equipment or machinery. backs up primary alarm system if phone lines are cut. 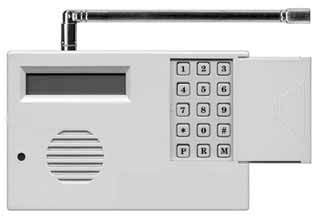 These automatic phone dialer security systems offer reliable low cost monitoring solutions. No phone line, no contract, and no monitoring fees required. Secures RVs, cabins, boats, storage garages, containers, shops, manufacturing plants, etc. These devices monitors signal change in operating status of remote equipment or machinery. backs up primary alarm system if phone lines are cut. • 2 voice message alarm zones. • Calls up to 4 telephones, pagers, or cell phones. • Automatically redials busy or unanswered numbers. • Remote turn off feature allows termination of activated channel. • EEPROM memory retains program despite power loss. • Power supply sold separately. 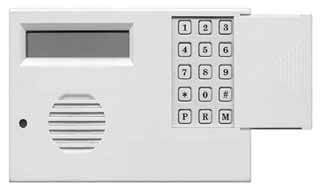 These automatic alarm dialer security systems offer reliable low cost monitoring Ssolutions. No phone line, no contract, and no monitoring fees required. Secures RVs, cabins, boats, storage garages, containers, shops, manufacturing plants, etc. Monitors signal change in operating status of remote equipment or machinery. backs up primary alarm system if phone lines are cut. • 4 voice message alarm zones. • Calls up to 8 telephones, pagers, or cell phones. • Built in line seizure. 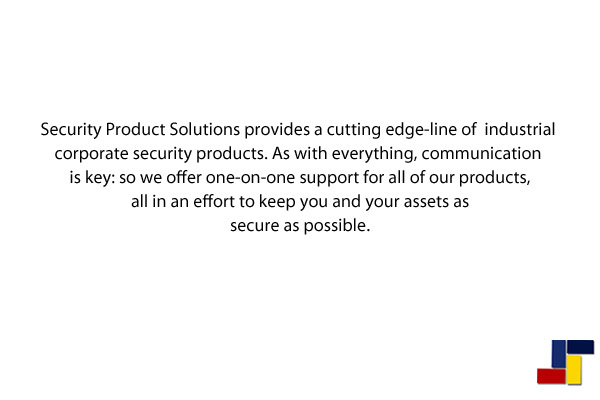 These automatic phone dialer security systems offer reliable low cost monitoring Ssolutions. No phone line, no contract, and no monitoring fees required. Secures RVs, cabins, boats, storage garages, containers, shops, manufacturing plants, etc. Monitors signal change in operating status of remote equipment or machinery. 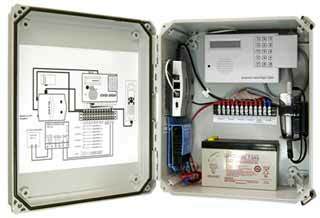 backs up primary alarm system if phone lines are cut. • 900 MHz Innovonics fully supervised receiver built in. • Use only with Innovonics wireless transmitter. • Out of range alarm. • Product has warning built into dialer to signal low battery on the transmitter. • 4 voice message alarm zones: 1 for transmitters, 1 for low battery supervision, 1 for out of range transmitters and 1 for hard wire channel. • Listen-in verification permits 2-way voice communication. • One Wireless channel can be programmed NO or NC. Voice Dialers You Can Count On! and we can help you find an automatic phone dialer that will effectively fit your needs.